The nation’s largest Medicare administrative contractor, Palmetto GBA, has issued a draft local coverage determination (LCD) recommending Medicare coverage for the Oncotype DX AR-V7 Nucleus Detect, the companies co-marketing the liquid biopsy test said today. Epic Sciences and Genomic Health noted that the draft LCD recommends Medicare coverage for use of the test nationwide. The draft LCD has been posted on the Medicare Coverage Database portion of the Centers for Medicare and Medicaid Services (CMS) website. The draft LCD will undergo a public comment period that started on March 26 as part of Medicare’s review process, which includes finalization of the coverage determination, followed by notification. LCDs are subject to annual review by Medicare administrative contractors, also called MACs. Oncotype DX AR-V7 Nucleus Detect is a circulating tumor cell (CTC)-based test designed to help clinicians determine which patients with metastatic castration-resistant prostate cancer (mCRPC) would benefit from androgen receptor-signaling inhibitor (ARSi) therapies, and which patients, from chemotherapy. The test incorporates Epic's proprietary No Cell Left Behind technology, a rare-cell detection and characterization platform designed to help match patients to therapies and monitor for drug resistance. The platform is based on technology that has been exclusively licensed from The Scripps Research Institute. Epic aims to develop a portfolio of blood-based tests that can predict drug response in cancer, and that are clinically proven, personalized, and focused on improving healthcare economics worldwide. Oncotype DX AR-V7 Nucleus Detect was commercially launched in the U.S. last month. The test is being co-marketed in the U.S. through Epic’s partnership with Genomic Health, established in 2016. Commercialization of the test was among priorities identified by Epic for using the proceeds of a $40 million Series D financing completed in April 2017. “The rapid issuance of the draft LCD recommending Medicare coverage highlights the clinical utility and value of this new test in prolonging survival for men with metastatic castration-resistant prostate cancer,” Epic Sciences President and CEO Murali Prahalad, Ph.D., said in a statement. AR-V7 is a splice variant of the androgen receptor and a strong predictive biomarker of resistance to AR-targeted therapies. According to the companies, Oncotype DX AR-V7 Nucleus Detect is the first and only predictive and prognostic test in prostate cancer that can identify which patients will no longer benefit from ARSi therapies, such as Johnson & Johnson subsidiary Janssen Biotech’s Zytiga (abiraterone) or the Astellas Pharma/Pfizer co-marketed Xtandi (enzalutamide). 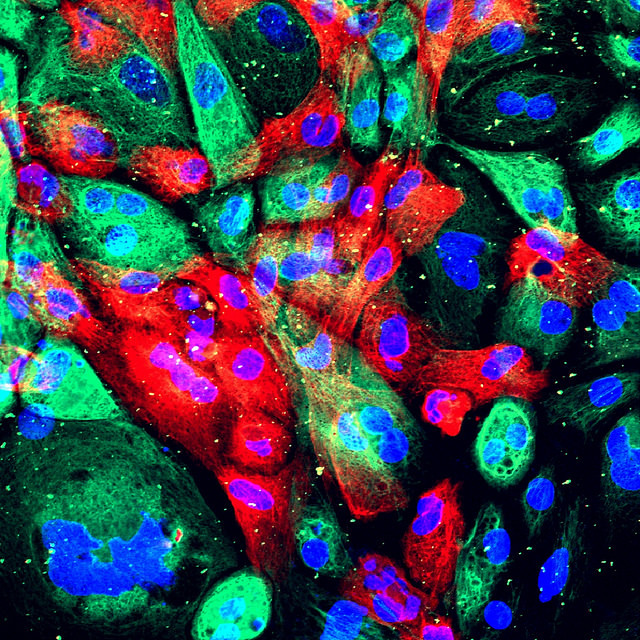 Detection of AR-V7-positive tumor cells indicates that a patient will no longer benefit from commonly-prescribed ARSi therapies—and thus may need either another type of ARSi treatment or chemo. Epic and Genomic Health have estimated that 50,000 men in the U.S. with advanced prostate cancer could benefit from knowing their AR-V7 status before selecting further treatment.